Since the release of the T-Mobile G1, the Play Store has been flooded with apps that claim to improve performance by clearing cache and storage. These apps are typically useless, rarely providing more than a temporary fix which Android undoes immediately. As Android has continued to improve cache and storage management, such apps have become more trivial. However, there are few decent ones out there. The apps which we recommend are not the most popular, because many users still believe some of the more outrageous claims made by other cache and storage cleaners. But these apps do provide great functionality while not trying to be everything for everyone. For example, you won't find subpar antivirus programs or charging optimizers in these apps. Instead, they perform the job well and have at least a handful of useful features that add to their value. SD Maid is a cache and system cleaner with a few additional useful features. While many are only accessible by paying for the $3.49 Pro version, it does offer all the basic functionality for free. Many apps, when installed, create folders in the local storage that hold data and downloaded files. Unfortunately, when we uninstall these apps, they don't always delete these folders. SD Mail's CorpseFinder features will search the local storage for these folders and provide the option to delete them. SD Maid will also scan system apps, installed apps, and databases to clean up the cache or empty storage. SD Maid also does a great job of identifying duplicate files which take unnecessary space. A file manager is included with a complete view of the local storage (minus root access), providing information about each file and folder to help you make a decision as to their necessity. With the Pro version, you can schedule SD Maid to run automatically, choosing which cleaner you wish to run. You are also granted the ability to clean apps for cache and other extraneous files and are provided an analysis of your usage of the application (including what had been previously deleted). 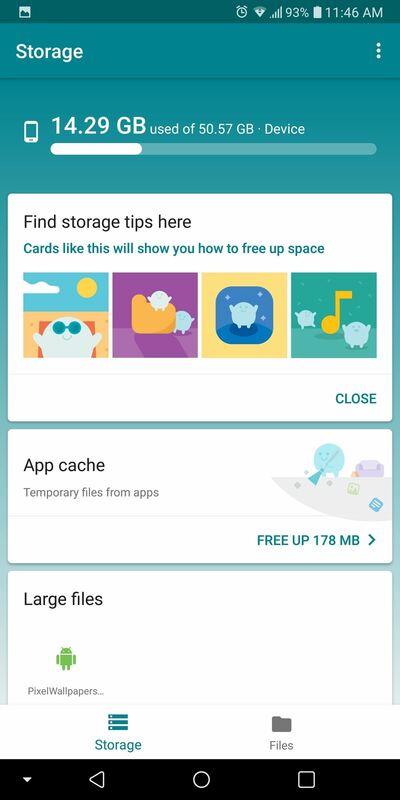 Google has finally released their secret file manager which was recently discovered within the Play Store but unavailable to download. Although technically a file manager, its more capable as a cache and storage cleaner. It is currently in beta, so users may experience bugs and lagginess, but so far, it has caused us no issues. The focus with this cache/storage cleaner is simplicity and sharing. Similar to many of their others apps, Google aims to provide a uncomplicated experience for their users. The main tab reflects this idea by providing easy access to the cache and storage cleaner. 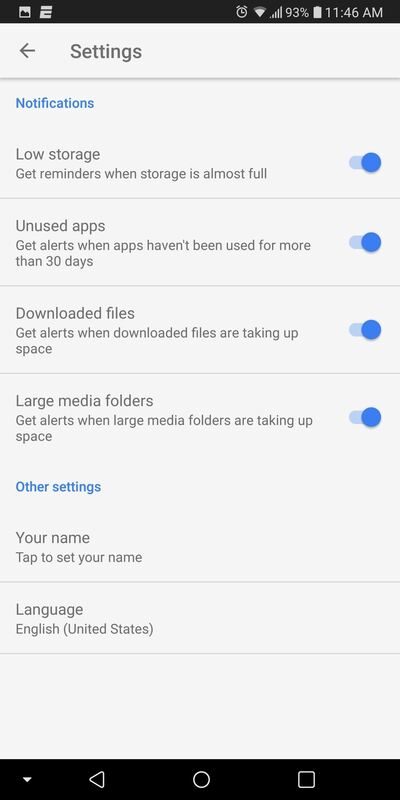 Files Go also (when provided Usage Access) can monitor your app usage and recommend uninstalling unused apps. Files Go will also alert you when your storage is low so you can make an adjustment. The biggest selling point of Files Go is the ability to transfer files securely without the need of the internet. 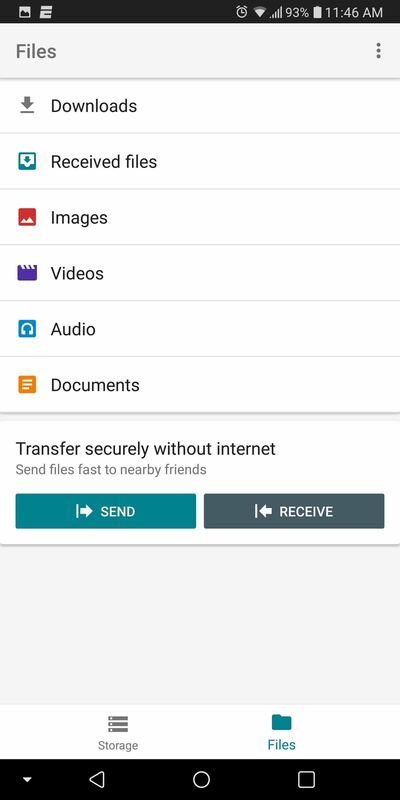 Similar to Apple's AirDrop, nearby friends using the app can transfer files among each other using Bluetooth and Wi-Fi Direct. Files Go does come with a basic file manager, but simplicity comes at the cost of functionality, as popular features from other file managers are simply not here. 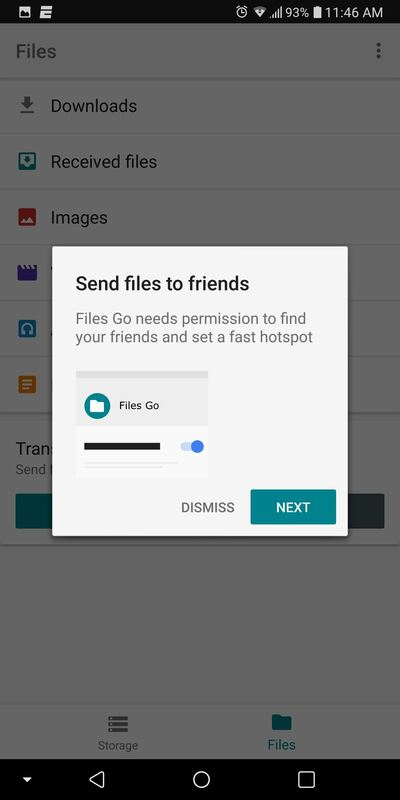 There is no access to cloud services and other network file transfer protocols (FTP, SFTP), and the file manager only allows access to a limited set of files which are organized in folders only found in the app (the exception being the Download folder which directly links to the locally stored folder of the same name). Despite these limitations, if you want to use Files Go as way to monitor and save storage space on your device, it's a terrific app. If you're looking for a full-fledged file manager, we suggest looking elsewhere. CCleaner is a well-known application for desktops that provides thorough cleaning of local storage. Piriform, the creator of CCleaner, has replicated their success with the desktop app in a no-nonsense cache/storage cleaner for Android. CCleaner for Android will clear cache and clean up storage with little additional features. However, this limitation is great for those who just want a storage cleaner and not a bunch of other apps. It does provide basic info about your smartphone and an app manager to quickly uninstall applications. There is also a Pro version for $3.99, which removes ads, allows you to schedule cleaning automatically, and gives you access to storage cleaning. These apps were selected because of their focus on providing cache/storage cleaning without the addition of bloatware. They provide limited additional functionality, but that increases their usability by keeping things simple. Although they are all great cleaners, our top recommendation is SD Maid because of its adequate file browser and numerous options for cleaning your device. While cache/storage cleaner did you decide to use? Let us know in the comments down below.